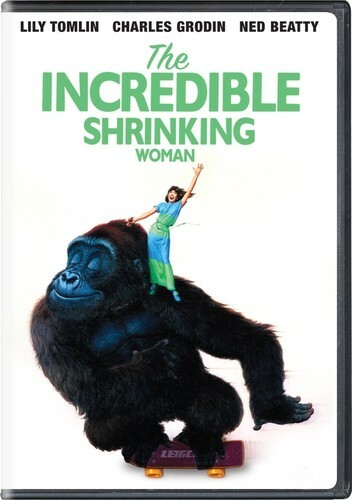 The loveable and laughable Lily Tomlin stars in the high-spirited comedy The Incredible Shrinking Woman. Exposed to a bizarre mix of household chemicals, ordinary housewife and mother Pat Kramer (Tomlin), develops a strange illness -she begins to shrink. Baffling doctors and struggling to take care of her family, Pat's diminishing size captures the hearts of the American people but also the attention of an evil group of scientists plotting to take over the world!